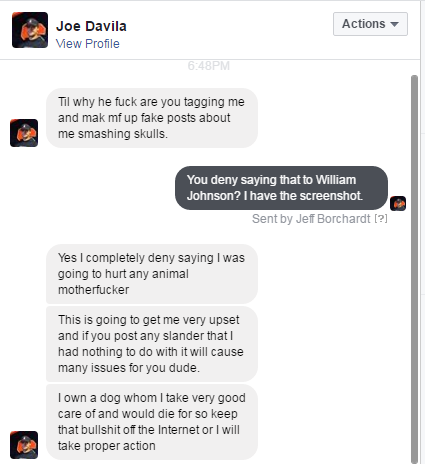 Joe Davila from Syracuse, New York says he wants to bash in the skull of a father whose daughter was attacked by a pit bull. Stop by Joe’s Facebook profile and let him know how you feel about this. 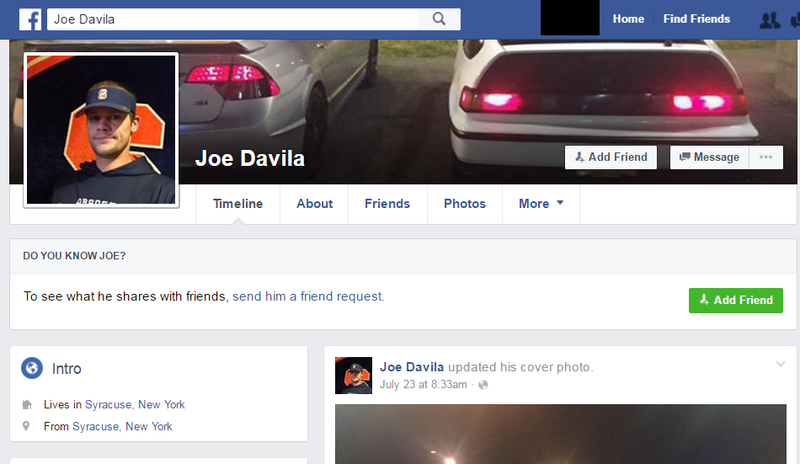 This entry was posted in hate mail and tagged Hateful messages to pit bull attack victims, Joe Davila, New York, Syracuse. Bookmark the permalink.